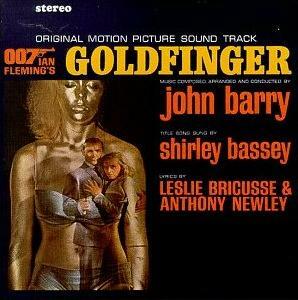 Goldfinger was the title song from the 1964 James Bond film Goldfinger. It was featured as the film’s opening and closing title sequences. This was Shirley Bassey’s only top 40 hit — peaking at #8 on the Hot 100 and #2 on the Adult Contemporary chart. In 2008, Goldfinger was inducted into the Grammy Hall of Fame. Goldfinger almost didn’t appear in the film as producer Harry Saltzman didn’t like the song, but time restraints didn’t allow for a replacement. Goldfinger has sold over a million copies in the U.S.
Based on the Peter Benchley novel, Jaws, this American thriller made a star out of its music, perhaps more than the shark. Jaws became the highest grossing film in history and was the most successful movie of all time (until Star Wars in 1977). 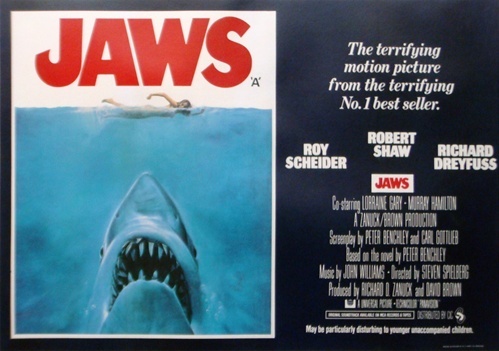 Jaws has won numerous awards for its soundtrack and editing. In 2001, the Library of Congress selected Jaws for preservation in the United States National Film Registry. Directed by Steven Spielberg, Jaws starred Roy Scheider as Police Chief Brody, Richard Dreyfuss as an oceanographer and Robert Shaw as a shark hunter. Jaws was shot mostly on Martha’s Vineyard in Massachusetts. They did not use real sharks and production was often interrupted as the mechanical sharks often malfunctioned, which led production costs to skyrocket and cause production delays. Spielberg decided instead to mostly “suggest” the great white shark’s presence by using that ominous, minimalist theme (created by John Williams). Over its opening weekend, Jaws took in $17 million. It paid for itself after only 2 weeks! In 78 days, it overtook The Godfather as the highest grossing film in North America. It was the first film to make $100 million in movie rentals. (After inflation adjustments) Jaws has taken in around $2 billion worldwide. It currently sits as the 7th highest grossing film of all time and is the second most successful film franchise (behind Star Wars). Jaws led to three sequels — Jaws 2 (1978), Jaws 3-D (1983) and Jaws: The Revenge (1987). 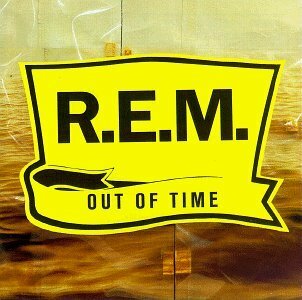 Out of Time was American alternative rock band REM’s seventh album. Out of Time is the album that propelled them into international superstardom. In the U.S., Out of Time spent 109 weeks on the album chart, 183 weeks on the British album chart and topped both charts. Out of Time has sold over 4 and a half million copies in the U.S.; over 18 million worldwide. Out of Time won three Grammys in 1992 (Best Alternative Music Album, Best Pop Performance by a Duo or Group with Vocal and Best Short Form Music Video for the lead single Losing My Religion). Losing My Religion has become REM’s biggest U.S. hit. The song reached #4 on the Hot 100, their highest chart position ever. Losing My Religion hit number one in Belgium and the Netherlands while also topping Billboard’s Mainstream and Modern Rock charts. Shiny Happy People featured B-52 vocalist Kate Pierson. It peaked at #10 on the Hot 100 and #6 in the UK. This was REM’s first song to crack the top 10 in the UK and their only single to reach the top ten in both countries. Shiny Happy People peaked at #2 in Ireland. Near Wild Heaven was not released in the U.S., but peaked at #27 in the UK. It reached #3 in Ireland. The final single off Out of Time was Radio Song. It peaked at #5 in Ireland. In 2007, REM was inducted into the Rock and Roll Hall of Fame. In September 2011, REM amicably split up. The Frogmen were one of the most popular Kellogg’s cereals toys. The Frogmen literally “dived” and “resurfaced” with the addition of ordinary baking soda. The Frogmen were plastic figures that had a metal ring around one foot. In 1973, in a film called The Exorcist, Regan becomes possessed by the devil after playing with a Ouija board — and a fad was born. Businessman Elijah Bond introduced the Ouija board in 1890. Initially the Ouija board had no connection to the occult; it was simply a harmless game. It was during World War I when American spiritualist Pearl Curran began using it as a divining tool. 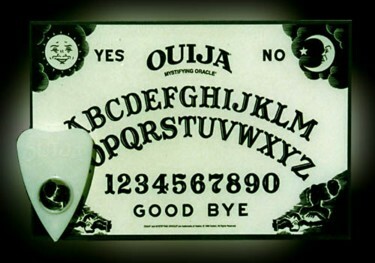 In the 70s sales of Ouija boards outpaced Monopoly! There is much debate about whether the planchette of the Ouija board can really “move” by itself or whether participants involuntarily move the planchette. Ouija boards are flat boards that contain the letters of the alphabet, the numbers 0 to 9, the words “yes” and “no” and sometimes “hello” and “goodbye.” They usually contain other symbols and graphics. Every Ouija board also comes with a planchette; a heart-shaped piece of wood or other moveable indicator. The “spirit” spells out its message while participants each hold on to the planchette. This was the third ingle from Nick Cannon’s self-titled debut album. Gigolo featured R. Kelly and peaked at #24 on the Hot 100. It’s best chart position was on the Hot Rap Tracks at #9. Cannon is an American actor, comedian, rapper, radio/TV personality. He started his career as a teenager on the Nickelodeon sketch comedy/variety show All That (see cast photo below). He also formed the rap group Da G4 Dope Bomb Squad. They opened for Will Smith, LFO, 98 degrees and Montell Jordan. He signed with Jive in 2001 and released his first album in 2003. He started his own record label in 2005. Cannon currently serves as host for America’s Got Talent, continues recording and serves as a creative consultant for Nickelodeon. He is currently married to singer Mariah Carey. John Franklin Candy was born in Newmarket, Ontario, He attended Centennial College and McMaster University. His first movie role was uncredited in 1973 in Class of ’44. In 1976, he joined The Second City and gained much popularity by appearing in the comedy/variety show Second City Television — better known as SCTV. In 1984, NBC picked up the Canadian TV show SCTV that had won two Emmys for writing in 1981 and 1982. Thanks to SCTV, Candy had a smoother transition into movies. The popularity of his movies made him a household name. He was in 1941, Blues Brothers, National Lampoon’s Vacation, Splash, Going Berserk, Spaceballs, Planes, Trains and Automobiles, Brewster’s Millions, The Great Outdoors, Armed and Dangerous, Who’s Harry Crumb?, Summer Rental, Uncle Buck and Little Shop of Horrors. And all that was just in the 80s! In the early 90s, Candy’s career hit a downturn due to a string of terrible movies — Nothing but Trouble, Delirious and Once Upon a Crime. There were some highlights too: he was a voice in The Rescuers Down Under and appeared in Home Alone and Cool Runnings. The failures led Candy to seek out dramatic roles — Only the Lonely and JFK. In 1991, Bruce McNall (a thoroughbred racehorse owner who won France’s most prestigious race, the Prix de l’Arc de Triomphe), Canadian hockey legend Wayne Gretzky and Candy became part owners of the Toronto Argonauts, a team in the Canadian Football league. The Argonauts won the 1991 Grey Cup, Canada’s answer to the Super Bowl. Candy was a lifelong, die hard Argonauts fan so this was very much a dream come true for him! In 1994, Candy was filming Wagons East! in Mexico. He called his friends to say he was selling his share of the Argonauts. He then phoned an assistant and had a late night dinner and went to sleep. After midnight on March 4, it was discovered that Candy had died of a heart attack. Candy was survived by his wife Rosemary, daughter Jennifer and son Christopher. Though Candy was filming Wagons East! at the time of his death, Canadian Bacon is actually his final film. Wagons East! was released in 1995. Canadian Bacon, though filmed in 1993, was also released in 1995, but after Wagons East!. In total, Candy appeared in 44 films (including a film The Magic 7 that hasn’t been released) and 25 TV shows or TV movies. Animal Farm is a political satire based on the socialist and communist philosophy of Stalin in the Soviet Union. Unhappy with the status quo, a group of farm animals revolt and establish their own society. Unfortunately, the new leaders, the pigs, lead them into a worse situation after their declaration that though all farm animals are equal, some are more equal than others. Orwell found publishing to be a tough sell. After four refusals and a fifth initial acceptance that ended in a refusal, Secker and Warburg finally accepted. It was feared that publishing the novel would upset the alliance between the U.S., Soviet Union and the UK. (Orwell was a Brit.) Initially, Animal Farm was not well received. 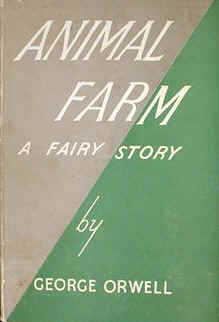 Over the years, criticisms regarding the novel have softened and Animal Farm is considered one of the greatest books from the 20th century. In 1981, Donkey Kong became the biggest selling arcade game, overtaking Pac-Man. In 1982, Ralston introduced another cereal. 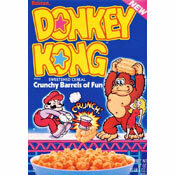 Ralston said Donkey Kong cereal was a “crunchy barrel of fun.” (The cereal pieces were shaped like barrels.) Consumers say Donkey Kong tasted like Cap’n Crunch. In 1983, General Mills decided to get in on the action by introducing a Pac-Man cereal. Pac-Man cereal was similar in taste and look to Lucky Charms. Ralston cut production of Donkey Kong cereal in 1984. In 1985 General Mills followed suit and stopped production of Pac-Man cereal. 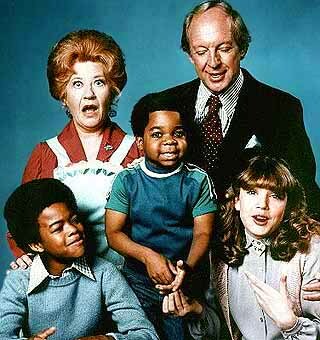 Diff’rent Strokes was an American sitcom that aired on NBC for seven seasons from November 3, 1978 to May 4, 1985. After getting cancelled by NBC, ABC picked up the show for its eighth season, airing from September 27, 1985 to March 7, 1986. In total, Diff’rent Strokes ran for 189 episodes and has been responsible for a lot of things, but not all of them are good. The show was to be a vehicle for stars Conrad Bain, who was fresh off the TV show Maude and for Gary Coleman, whom show producers discovered from his numerous TV commercials. Bain starred as Phillip Drummond, a white Park Avenue businessman who adopted two black brothers Arnold and Willis (played by Coleman and Todd Bridges) from Harlem. Dana Plato rounded out the cast as Phillip’s daughter Kimberly. Over the years the Drummonds had a revolving housekeeper, the most famous being Mrs. Garrett (played by Charlotte Rae), which was their first housekeeper for seasons 1 and 2 before departing to look after the girls on The Facts of Life, a spin-off. Thanks to Arnold’s catchphrase, “What-chu talkin bout Willis?” and the cutie that was Gary Coleman, Diff’rent Strokes took the world by storm. When a TV show becomes as popular as Diff’rent Strokes was, it’s sometimes very difficult for actors to step out the shadow of the show and do something different. The child stars of Diff’rent Strokes had a more difficult time than most actors. During season 5, Plato became pregnant and was written out of the show. (She occasionally came back for guest appearances.) She married in 1984 and got divorced the next year. Her growing drug addictions led to financial difficulties and she relinquished custody of her son to her ex-husband. In 1991, she was arrested for robbing a Las Vegas video store with a pellet gun. In 1992, Plato was arrested for faking prescriptions for Valium. In 1999, Plato died of a drug overdose. Her death was listed as a suicide. She was only 34 years old. In 1989, Coleman sued his parents and former manager over misappropriation of his trust fund. Unfortunately, despite a million dollar settlement, in 1999, Coleman filed for bankruptcy. In 1998, he was charged with assault after punching a woman in a mall where he worked as a security guard. In May 2010, Coleman, who had health problems all his life from congenital kidney disease, was admitted to a Utah hospital after falling and hitting his head after suffering a seizure. He was placed on life support but died the following day at age 42. Bridges developed a cocaine addiction. In 1998 he was arrested and charged with the attempted murder of a drug dealer at a crack house in South Central Los Angeles. He was acquitted the next year. He was then quickly arrested for carrying a concealed weapon and possession of cocaine. In 1994, he was arrested after ramming a car during an argument. Bridges then went on to become clean and sober. He now travels the U.S. to talk to youth in schools about the dangers of drug use. He has also returned to acting. Bridges is the only surviving member of his TV Drummond family. Bain died in January 2013 of natural causes at age 89. Below is the pilot episode.